Certain yoga poses can position the muscles in the abdomen in a way that encourages the release of excess gas from the GI tract. This can reduce bloating. Child's Pose, Happy Baby Pose, and squats can all help people to relieve a build-up of gas quickly. Learn more about yoga poses for flatulence. Peppermint oil capsules may also be helpful for indigestion and related gas. 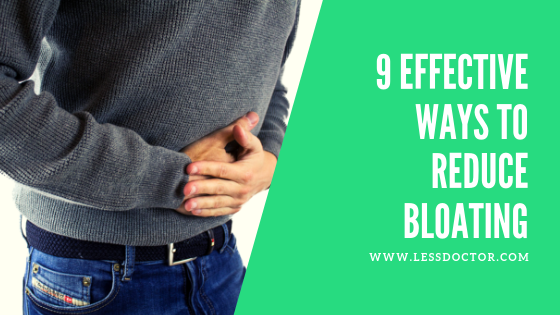 Manufacturers usually market them as a treatment for the symptoms of irritable bowel syndrome (IBS), but people without IBS can also use them to relieve bloating. Peppermint works by relaxing the intestinal muscles, which allows gas and stool to move along more effectively. People should always follow the instructions on the packet. Anyone who is prone to heartburn may need to avoid peppermint. Massaging the abdomen can help to get the bowels moving. A massage that follows the path of the large intestine is especially helpful. People can follow the steps below to do this. A study from 2016 tested the effectiveness of supplements containing a combination of fennel and curcumin essential oil in 116 people with mild-to-moderate IBS. After 30 days, people reported an improvement in their IBS symptoms, including bloating and abdominal pain. People should not consume essential oils without speaking to a doctor first. This is because some formulations may be toxic or can interfere with medication, and there is no regulation of dosages. Eating more fiber helps to prevent constipation and bloating. Most people in America do not get enough fiber, with only 5 percent of people meeting their recommended daily fiber intake of 25 grams (g) for females and 38 g for males. However, it is important to bear in mind that eating too much fiber or increasing fiber intake too quickly can cause even more gas and bloat. People may notice adverse effects from eating more than 70 g of fiber a day. When increasing fiber intake, it is best to start slowly and increase the intake over several weeks to allow the body to adjust to this change in the diet. Fizzy, carbonated drinks contain gas that can build up in the stomach. The carbon dioxide that makes soda and similar beverages fizzy can also cause bubbling and bloating in the stomach. Sugars or artificial sweeteners in the diet can also cause gas and bloating. Drinking water eliminates these issues and helps to treat constipation as well.